Technically speaking, it is a form of subcontracting and subleasing. Which means that you can rent out a physical space such as a dedicated desk, or a group of offices, while sharing one reception area, pantry, and other facilities. MyOffice also has an excellent team with technological support that keeps you connected to the office wherever you are, putting the virtual in virtual office! We like keeping things simple by focusing on the important aspects of every business: prestigious location, quality service, and necessary facilities. Need only a business address for registration? Go ahead! How about a private office but also includes a virtual receptionist and accountant who can keep me connected to my daily operations? We got you covered. 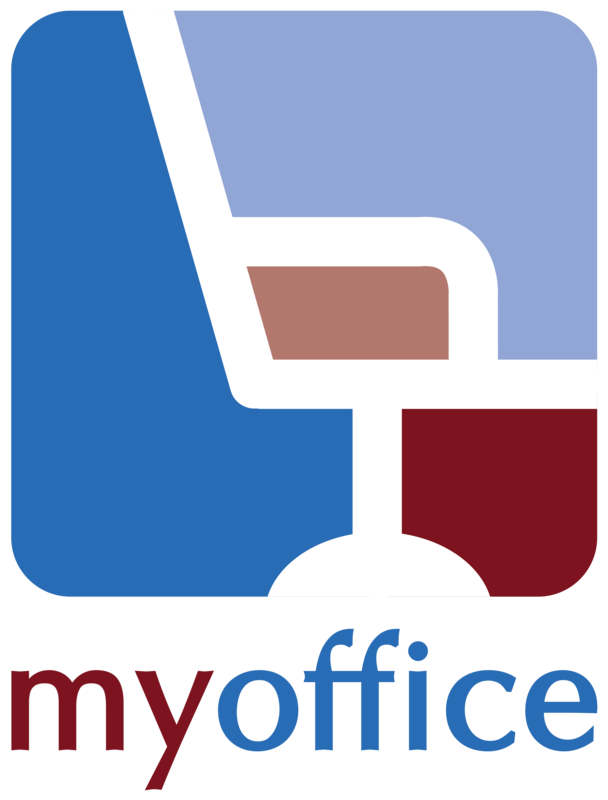 MyOffice allows you to build your ideal virtual office online to suit your work style. A highly trained, 100% Filipino management and staff proudly runs MyOffice. They undergo regular training sessions in order to best support businesses from different industries. Who else can best support your business in the Philippines than a team who is knowledgeable with the local industry? MyOffice has partnered with multiple establishments and businesses to give its members added services that may help them in and out of the office. From accounting services to gym memberships, MyOffice members can exclusively enjoy a number of freebies. To see our list of partners, click here. 3. Who are the members of MyOffice? New businesses requiring their first office. Individuals who work from their homes (or don’t want to go through traffic). Persons who are mobile and do not need a full-time office. Those that have other businesses outside the current company they are connected with. Companies who need to get closer to their customers. An existing business that needs to cope with temporary expansion. Companies wishing to enter a new market. Companies setting up regional or branch offices. Companies requiring temporary offices during a move to new permanent accommodation. 4. How do we build our own virtual office exactly? If you check our website, you can build your own virtual office by choosing specific facilities and services you need. Think of it as a pizza- pick a base, must have toppings, and maybe throw a few more add-ons, just in case! 5. How is MyOffice mobile-friendly by always connecting us to the office even if we are not there? MyOffice combines both physical space and virtual services and technologies. Using our virtual services and our very own online platform (Personal Portal), you can remain connected to the office, get continuos updates, and even interact and give special instructions, all through our platform! 6. Co-working space vs. MyOffice- what’s the difference? A co-working space is a style of work that involves different start-ups working together in a shared environment, usually forming a collaborative community. There is no virtual office support for the different companies. Instead, the entrepreneurs present proactively help each other, whether it is taking a phone call for another or prepping the coffee for everyone. In addition, each co-working caters to specific industries, such as tech start-ups or social enterprises. Added services may also include events and mentorship. 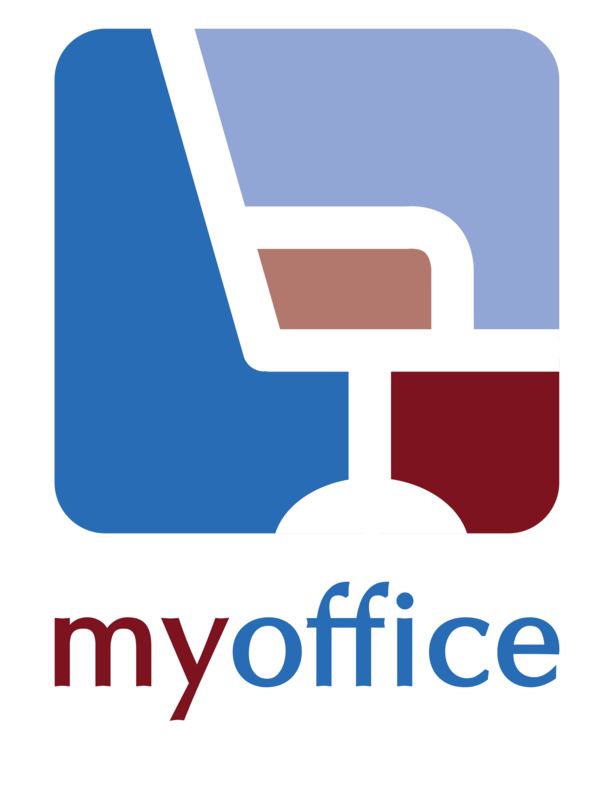 MyOffice on the other hand focuses on the nitty gritty details every business in various industries need when starting, such as business registration, office support solutions, private and shared spaces, accounting, etc. In addition, MyOffice is mobile friendly, since members of MyOffice don’t have to be physically present in the office to feel the benefits. Our front and back office services keep entrepreneurs connected to the office and help the business continue to run wherever they may be! 7. What is a DIY Work Space? A DIY Work Space is an open area that allows you to create and operate your own office based on your personal preference. The space has foldable walls so you can easily adjust the size of the office and you are free to re-arrange the layout of the tables. Various glass boards are located all over the area to encourage free-thinking, and a DIY station and trolley containing all necessary equipment such as a projector, scanner, fax machine, and desktop computer can be found, giving you complete access to office tools anytime. Finally, a mini-finess corner can also be found in the space, just in case you need to get the entrepreneurial juices flowing. 8. Can I pre-terminate a contract? The deposit that is applied on the contract shall be forfeited in case of pre-termination. 9. Can I receive message notification via SMS even if I am out of the country? Yes, but only to those countries that have interconnection with our local mobile service carriers. The corresponding rates for international SMS service shall apply. 10. Aside from SMS and email, is there any other way I can get info on my correspondences that MyOffice handled? By logging in to your account in this website, you will be able to access your own MyOffice Personal Portal which will show your correspondence log. Apart from this, your portal will also show the service features included in your subscription, your company’s information and the instructions that you have registered. 11. Is there a deposit required for the business packages? Yes, we require deposits for all of our business packages. 12. What is the minimum length of the contracts? Depending on the package, the minimum contract is 3 or 6 months but other arrangements may be made to meet special requirements. 13. Can I rent Mail Boxes/Lockers only? Sure, with a minimum of 6 months. A deposit will be required. 14. I only need a phone number with a voicemail. Can I subscribe to this alone without the other features? Yes, you can subscribe to MyOffice’s Voicemail-to-Email service only. With this, you will be given your own 3-digit extension which will direct your callers to your voicemail. Your caller’s message will then be automatically forwarded to your email. 15. Can I send a representative over to use the facilities on my behalf? Yes, as long as he/she has a written authorization from you. 16. Can I bring my own office equipment, such as a computer or printer? If you are using a cubicle or workstation under the Elite or Full-Service Business Option, you will be allowed to bring your own office equipment, provided, the admin is properly advised beforehand. You may also have the option of bringing your own laptop if you would lease any of the basic workstations on an hourly basis. Yes, parcels from local postal services and courier companies such as LBC, U.P.S., D.H.L., etc. can be received in the office. However, please note that MyOffice prefers not to handle packages weighing over 4 pounds. Parcels should also contain documents only. 18. What are the operating hours? On work weekdays, our Builders Centre & Trade & Financial Tower offices are open from 8:00 am to 7:00 pm, while our 25D Office is open from 8:00 am to 5:30 pm. All our offices are open on Saturdays from 8:00 am to 12:00 nn, except holidays.